The Jean Prouvé ateliers planed and realized different furnishing projects for the chemistry company Solvay during 1941 and 1942. 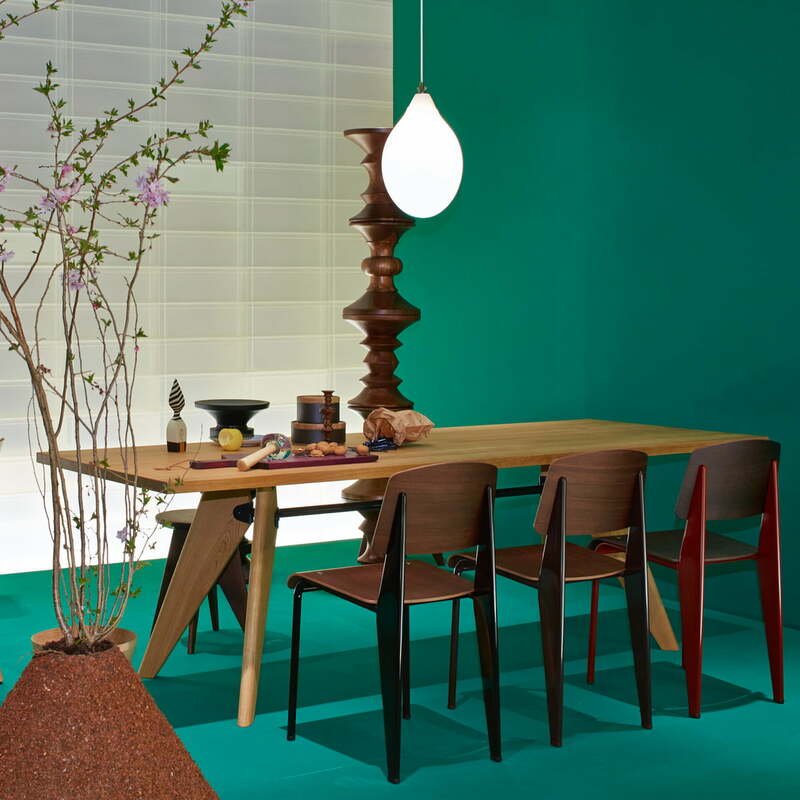 Therefore, a wooden table which represents Prouvé’s constructions emerged among many other designs: The dining table is embossed by its construction, which connects modern shapes with traditional materials. Metal was hard to find in the beginning of the 40s because of the Second World War. But Jean Prouvé made a virtue out of the necessity: The Solvay table which is completely embossed by its construction follows aesthetics of necessities – similar to the later EM table, which is only different to the Solvay table because of the metal-legs. The tables illustrate the power and the static connection as if it was an architectural project. 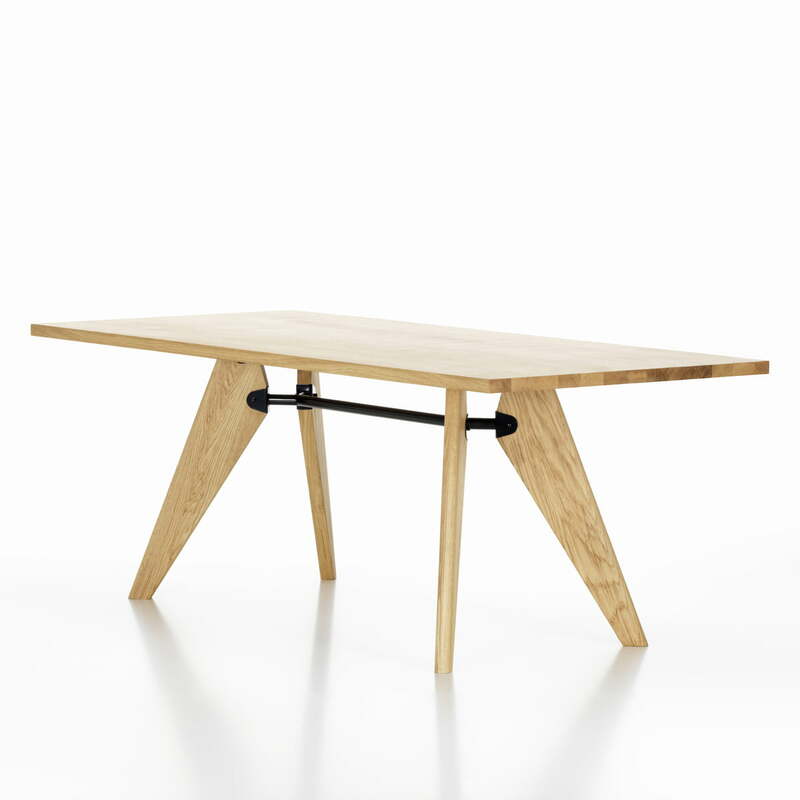 The diagonal, tapering legs make the Solvay table dynamic and strong. Round tubes traverse the table offering stability to the legs. The legs and the table top, both out of massive wood, contrast the metal and make the table look weightless. 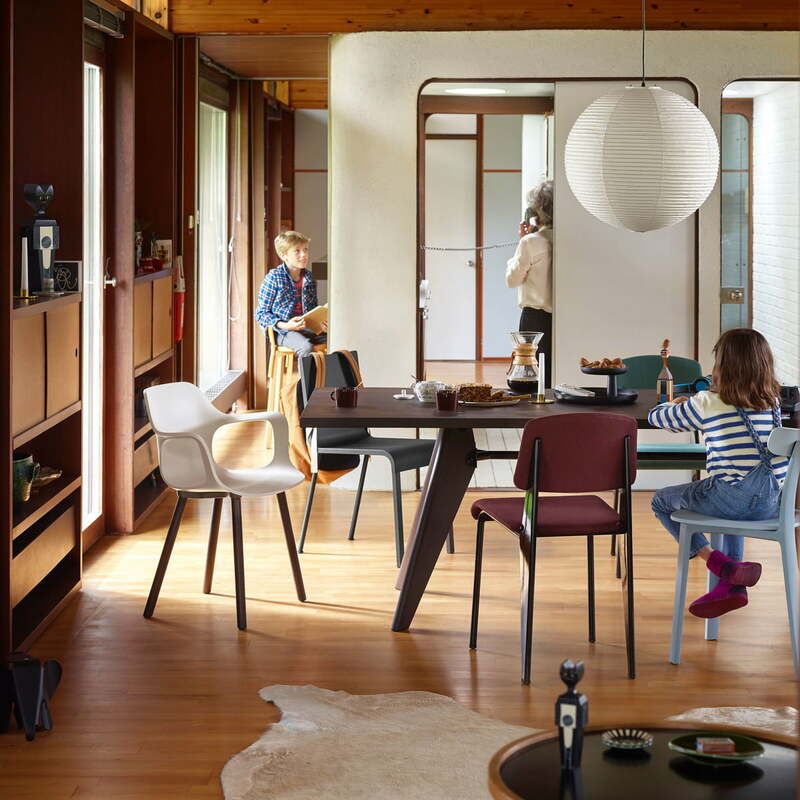 Solvay is produced by Vitra today and it represents Jean Prouvé’s design philosophy, which lives from the connection of architecture, technique and handicraft. 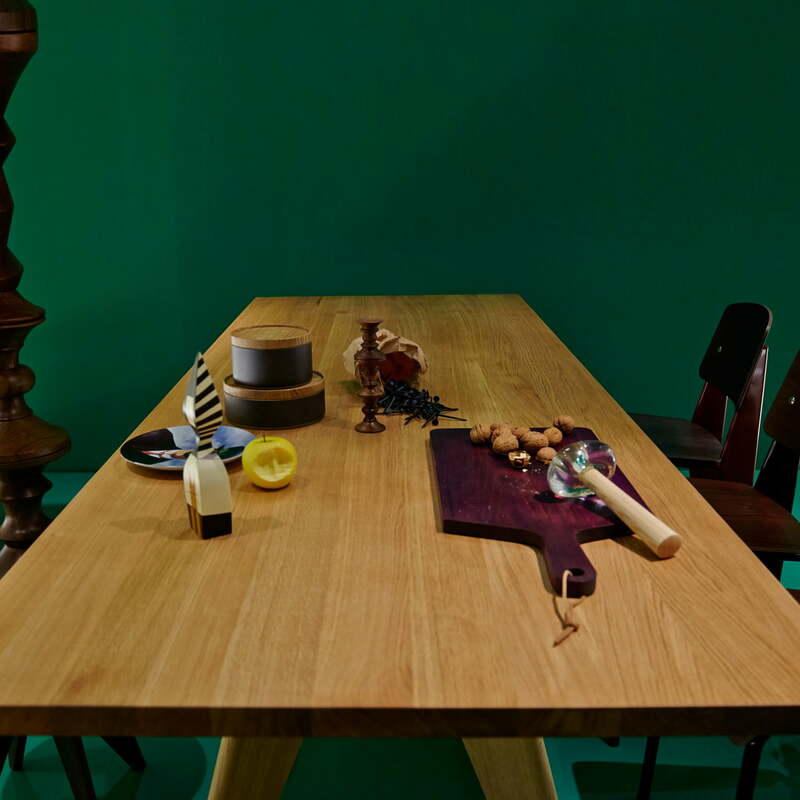 Table top: oiled massive wood; natural oak wood, core-smoked oak wood or American walnut. Base: suiting the table top of massive oiled oak wood, core-smoked oak wood or American walnut; traverses of steel tube, powder coated. 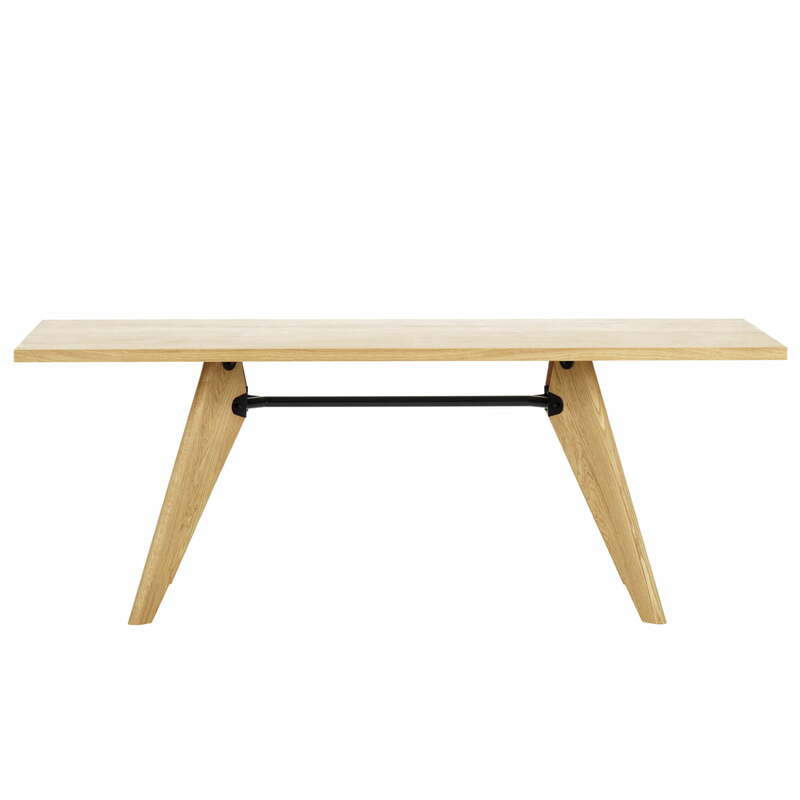 Isolated product image of the Solvay table 180 cm by Vitra in natural oak. 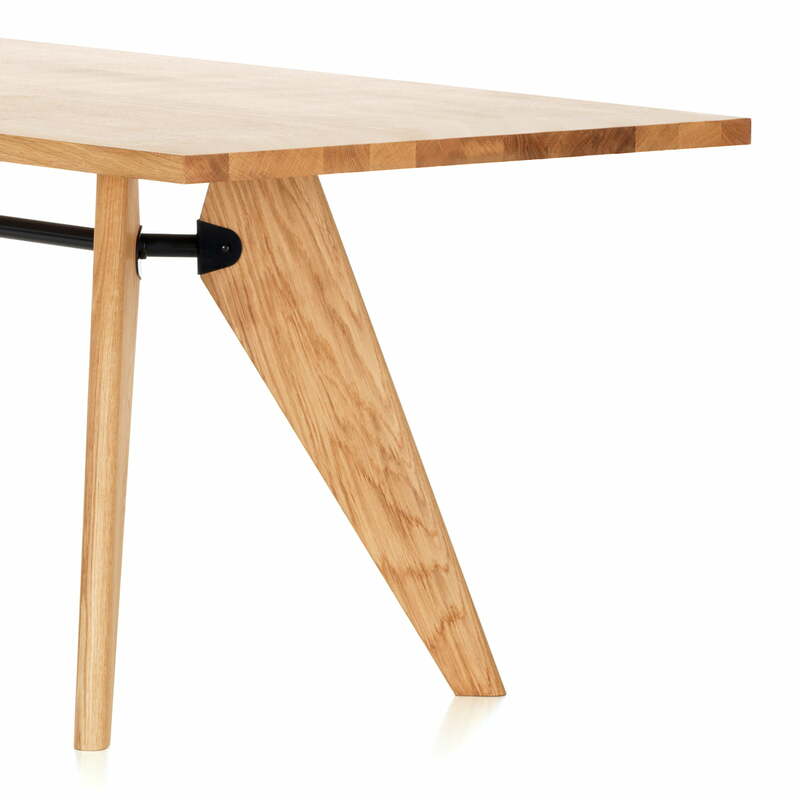 The diagonal, tapered legs give Table Solvay a constructive dynamic and power. 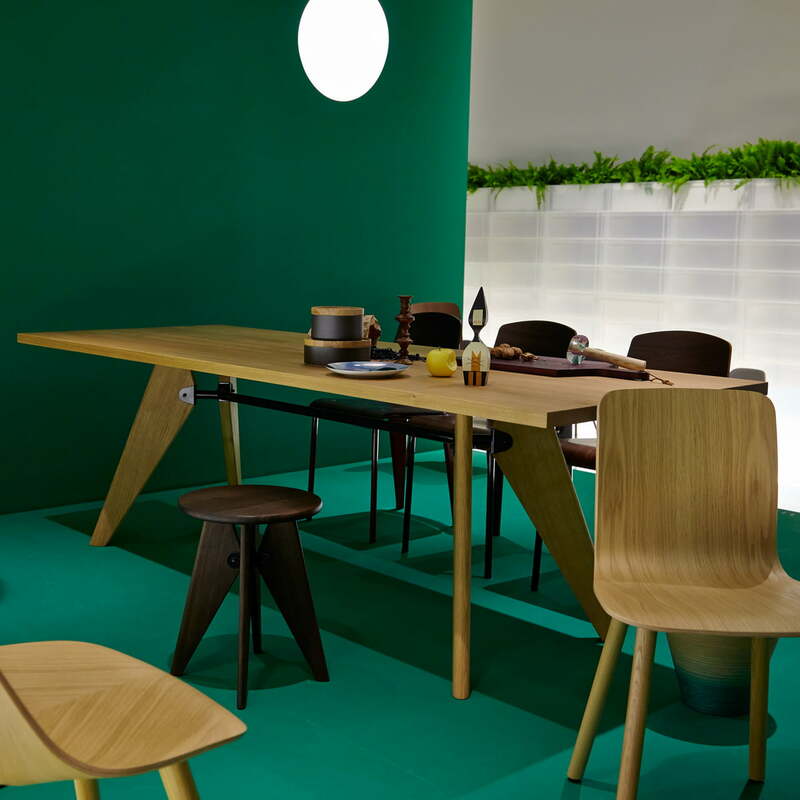 The Table Solvay dining table by Vitra consists of solid oak. The design is by Jean Prouvé and embodies a constructive dynamism and force with the diagonally placed legs.